Shek O is a popular place in Hong Kong Island for swimmers, barbecue lovers and Cantopop music video shooting. It is surrounded by South China Sea, Big Wave Bay and Cape D’Aguilar Peninsula. Tai Tau Chau connects to Shek O through a tombolo. But hikers do not need to worry about the tide because a blue Lover’s Bridge was built over the tombolo. The bridge got this name because it is so narrow that it can only allow two persons to pass at a time. 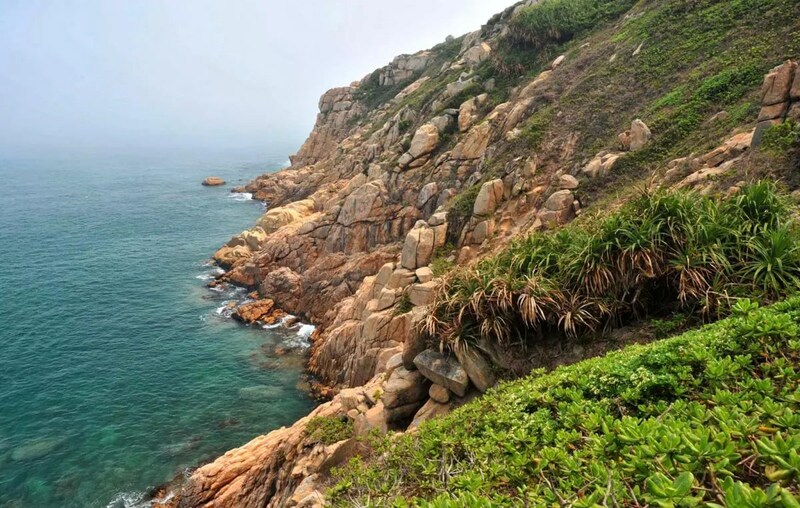 Suffered from the northeast monsoon and tide for millions of years, Tai Tau Chau is full of rugged granites and rocky cliffs and is the paradise for rock climbing in Hong Kong. In Cantonese, “Shek” means Rock and “O” means Bay. Maybe that’s why Shek O got its name. Around Shek O, there are a lot of scenic spots. A few miles to the north is the Big Wave Bay, a paradise for surfers. 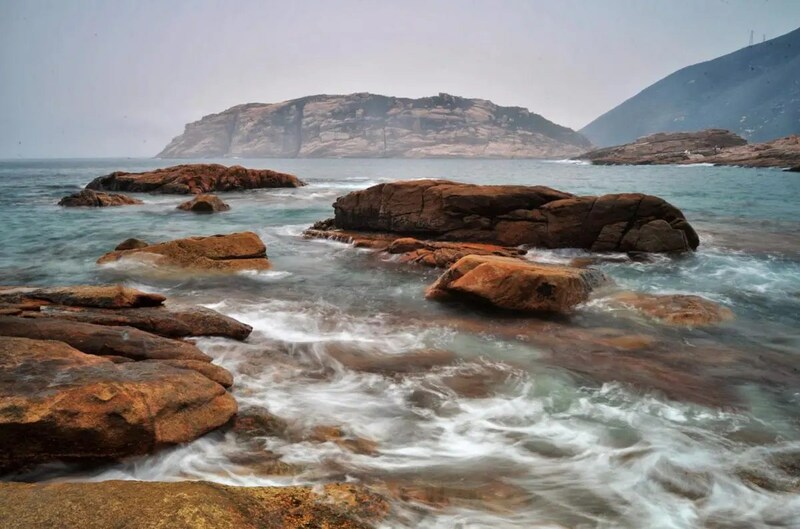 To the south is Cape D’Agular Marine Reserve, the first marine reserve area in Hong Kong. To the west is Dragon’s Back, one of the best urban hiking trails selected by Time Asia Magazine in 2004. I am Ellie from Korea. I am staying in Hong Kong for at least 6 months. Because of my work. By the way, I really like to travel hidden places. But there’s not much information about it in HK. Finally I find your site! Really thank you for giving this useful information. I am going to follow your steps. And also I hope that you will continuously provide a good posts for people who like to travel all around (like me^^).